Sanjaya said, “Thus all the Pandavas, placing Sikhandin before thempierced Bhishma in that battle repeatedly surrounding him on all sides.And all the Srinjayas, uniting together, struck him with dreadfulSataghnis, and spiked maces, and battle-axes, and mallets, and shortthick clubs, and bearded darts, and other missiles, and arrows furnishedwith golden wing, and darts and lances and kampanas; and with longshafts, and arrows furnished with heads shaped like the calf-tooth, androckets. Thus afflicted by many, his coat of mail was pierced everywhere.But though pierced in every vital part, Bhishma felt no pain. On theother hand, he then seemed to his enemies to resemble in appearance the(all-destructive) fire that rises at the end of Yuga. His bow and arrowsconstituted the blazing flames (of that fire). The flight of his weaponsconstituted its (friendly) breeze. The rattle of his car-wheelsconstituted its heat and mighty weapons constituted its splendour. Hisbeautiful bow formed its fierce tongue, and the bodies of heroicwarriors, its profuse fuel. And Bhishma was seen to roll through themidst of crowds of cars belonging to those kings, or to come out (of thepress) at times, or course once more through their midst. Then,disregarding the king of the Panchalas and Dhrishtaketu, he penetrated, Omonarch, into the midst of the Pandava army. He then pierced the sixPandava warriors, viz., Satyaki, and Bhima, and Dhananjaya the son ofPandu, and Drupada, and Virata, and Dhrishtadyumna of Prishata’s race,with many excellent arrows of great sharpness and dreadful whizz andexceeding impetuosity, and capable of piercing through every kind ofarmour. Those mighty car-warriors, however, checking those keen shafts,afflicted Bhishma with great force, each of them striking him with tenshafts. Those mighty shafts, whetted on stone and furnished with goldenwings, which the great car-warrior Sikhandin shot, quickly penetratedinto Bhishma’s body. Then the diadem-decked (Arjuna), excited with wrath,and placing Sikhandin ahead rushed at Bhishma and cut off the latter’sbow. Thereupon mighty car-warriors, seven in number, viz., Drona andKritavarman, and Jayadratha the ruler of the Sindhus, and Bhurisravas,and Sala, and Salya, and Bhagadatta could not brook that act of Arjuna.Inflamed with rage, they rushed at him. Indeed, those mightycar-warriors, invoking into existence celestial weapons, fell with greatwrath upon that son of Pandu, and covered him with their arrows. And asthey rushed towards Phalguni’s car, the noise made by them was heard toresemble that made by the ocean itself when it swelleth in rage at theend of the Yuga, Kill, Bring up (our forces), Take, Pierce, Cut off, thiswas the furious uproar heard about Phalguni’s car. Hearing that furiousuproar, the mighty car-warriors of the Pandava army rushed forward, Obull of Bharata’s race, for protecting Arjuna. They were Satyaki, andBhimasena, and Dhrishtadyumna of Prishata’s race, and both Virata andDrupada, and the Rakshasa Ghatotkacha, and the wrathful Abhimanyu. Theseseven, inflamed with rage, and armed with excellent bows, rushed withgreat speed. And the battle that took place between these and the Kauravawarriors was fierce, making the hair stand on end, and resembling O chiefof the Bharatas, the battle of the gods with the Danavas. Sikhandin,however, that foremost of car-warriors, protected in the battle by thediadem-decked (Arjuna), pierced Bhishma, in that encounter, with tenshafts after the latter’s bow had been cut off. And he struck Bhishma’scharioteer with other shafts, and cut off the latter’s standard with oneshaft. Then the son of Ganga took up another bow that was tougher. Thateven was cut off by Phalguni with three sharp shafts. Indeed, thatchastiser of foes, viz., Arjuna, who was capable of drawing the bow witheven his left hand, excited with rage, one after another, cut off all thebows that Bhishma took up. Then Bhishma, whose bows were thus cut off,excited with rage, and licking the corners of his mouth, took up a dartthat was capable of riving a hill. In rage he hurled it at Phalguni’scar. Beholding its course towards him like the blazing bolt of heaven,the delighter of the Pandavas fixed five sharp broad-headed arrows (onhis bow-string). And with those five arrows, O chief of the Bharatas, theangry Arjuna cut off into five fragments that dart hurled from Bhishma’sarms. Thus cut off by the angry Arjuna, that dart then fell down like aflash of lightning separated from a mass of clouds. Beholding his dartcut off, Bhishma became filled with rage. That hero, that subjugator ofhostile cities, then began to reflect. And he said unto himself, ‘Withonly a single bow I could slay all the Pandavas, if the mighty Vishnuhimself had not been their protector. For two reasons, however, I willnot fight with the Pandavas, viz., their unslayableness, and thefemininity of Sikhandin. Formerly, when my sire wedded Kali, he pleased(with me) gave me two boons, viz., that I should be incapable of beingslain in battle, and that my death should depend on my own choice. Ishould, however, now wish my own death, this being the proper hour.’Ascertaining this to be the resolve of Bhishma of immeasurable energy,the Rishis and the Vasus stationed in the firmament, said, ‘That whichhath been resolved by thee is approved by us also, O son! Act accordingto thy resolution, O king. Withdraw thy heart from battle.’ On theconclusion, of those words, fragrant and auspicious breeze charged withparticles of water, began to blow along a natural direction. Andcelestial cymbals of loud sounds began to beat. And a flowery shower fellupon Bhishma, O sire. The words spoken by the Rishis and the Vasus,however, O king, were not heard by any one save Bhishma himself. I alsoheard them, through the power conferred on me by the Muni. Great was thegrief, O monarch, that filled the hearts of the celestials at the thoughtof Bhishma, that favourite of all the worlds, falling down from his car.Having listened to these words of the celestials, Santanu’s son Bhishmaof great ascetic merit rushed out at Vibhatsu, even though he was thenbeing pierced with sharp arrows capable of penetrating through everyarmour. Then Sikhandin, O king, excited with rage, struck the grandsireof the Bharatas in the chest with nine sharp arrows. The Kuru grandsireBhishma, however, though struck by him in battle, thus, trembled not, Omonarch, but remained unmoved like a mountain during an earthquake. ThenVibhatsu, drawing his bow Gandiva with a laugh, pierced the son of Gangawith five and twenty arrows. And once more, Dhananjaya, with great speedand excited with wrath struck him in every vital part with hundreds ofarrows. Thus pierced by others, also with thousands of arrows, the mightycar-warrior Bhishma pierced those others in return with great speed. Andas regards the arrows shot by those warriors, Bhishma, possessed ofprowess in battle that was incapable of being baffled, equally checkedthem all with his own straight arrows. Those arrows, however, endued withwings of gold and whetted on stone, which the mighty car-warriorSikhandin shot in that battle, scarcely caused Bhishma any pain. Then thediadem-decked (Arjuna), excited with rage and placing Sikhandin to thefore, approached Bhishma (nearer) and once more cut off his bow. And thenpiercing Bhishma with ten arrows, he cut off the latter’s standard withone. And striking Bhishma’s chariot with ten arrows, Arjuna caused him totremble. 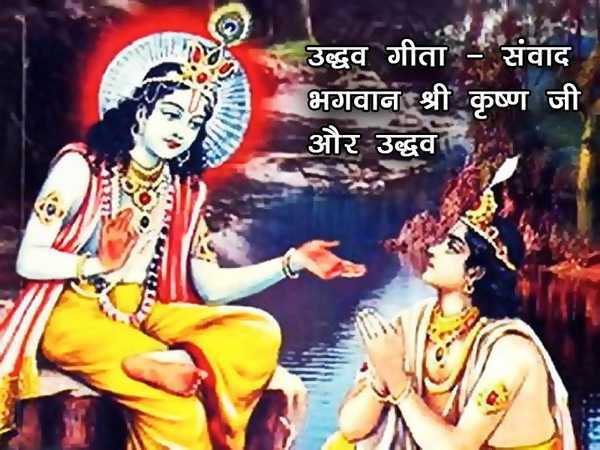 The son of Ganga then took up another bow that was stronger.Within, however, the twinkling of an eye, as soon, in fact, as it wastaken up, Arjuna cut that bow also into three fragments with threebroad-headed shafts. And thus the son of Pandu cut off in that battleeven all the bows of Bhishma. After that, Bhishma the son of Santanu, nolonger desired to battle with Arjuna. The latter, however, then piercedhim with five and twenty arrows. That great bowman, thus pierced greatly,then addressed Dussasana, and skid, ‘Behold, Partha, that greatcar-warrior of the Pandavas, excited with wrath in battle, pierceth mealone with many thousands of arrows. He is incapable of being vanquishedin battle by the wielder of the thunder-bolt himself. As regards myselfalso, O hero, the very gods, Danavas and Rakshasas united together, areincapable of vanquishing me. What I shall say then of mighty car-warriorsamong men?’ While Bhishma was thus speaking to Dussasana, Phalguni withsharp shafts, and placing Sikhandin to the fore, pierced Bhishma in thatbattle. Then Bhishma, deeply and excessively pierced by the wielder ofGandiva with keen-pointed shafts, once more addressed Dussasana with asmile and said, ‘These arrows coursing towards me in one continuous line,whose touch resembleth that of heaven’s bolt, have been shot by Arjuna.These are not Sikhandin’s. Cutting me to the quick, piercing through evenmy hard coat of mail, and striking me with the force of mushalas, thesearrows are not Sikhandin’s. Of touch as hard as that of the Brahmana’srod (of chastisement), and of impetus unbearable as that of thethunder-bolt, these arrows are afflicting my vital forces. These are notSikhandin’s. Of the touch of maces and spiked bludgeons, those arrows aredestroying my vital forces like messengers of Death commissioned (by thegrim king himself). These are not Sikhandin’s. Like angry snakes ofvirulent poison, projecting their tongues out, these are penetrating intomy vitals. These are not Sikhandin’s–these that cut me to the quick likethe cold of winter cutting kine to the quick. Save the heroic wielder ofGandiva, viz., the ape-bannered Jishnu, even all other kings unitedtogether cannot cause me pain. Saying these words, Bhishma, the valiantson of Santanu, as if for the object of consuming the Pandavas, hurled adart at Partha. Partha, however, caused that dart to drop down, cuttingit into three fragments with three shafts, in the very sight, O Bharata,of all the Kuru heroes of thy army. Desirous of obtaining either death orvictory, the son of Ganga then took up a sword and a shield decked withgold. Before, however, he could come down from his car, Arjuna cut off bymeans of his arrows, that shield into a hundred fragments. And that featof his seemed exceedingly wonderful. Then the king Yudhishthira urged hisown troops, saying, ‘Rush ye at Ganga’s son. Do not entertain theslightest fear’. Then, armed with bearded darts, and lances, and arrows,from all sides, with axes, and excellent scimitars, and long shafts ofgreat sharpness, with calf-toothed arrows, and broad-headed shafts, theyall rushed at that single warrior. Then arose from among the Pandava hosta loud shout. Then thy sons also, O king, desirous of Bhishma’s victory,surrounded him and uttered leonine shouts. Fierce was the battle foughtthere between thy troops and those of the enemy on that the tenth day, Oking, when Bhishma and Arjuna met together. Like unto the vortex thatoccurs at the spot where the Ganga meets the Ocean, for a short while avortex occurred there where the troops of both armies met and struck oneanother down. And the Earth, wet with gore, assumed a fierce form. Andthe even and the uneven spots on her surface could no longer bedistinguished. Although Bhishma was pierced in all his vital limbs, yeton that the tenth day he stayed (calmly) in battle, having slain tenthousand warriors. Then that great bowman, Partha, stationed at the headof his troops, broke the centre of the Kuru army. Ourselves then, afraidof Kunti’s son Dhananjaya having white steeds attached to his car, andafflicted by him with polished weapons, fled away from the battle. TheSauviras, the Kitavas, the Easterners, the Westerners, the Northerners,the Malavas, the Abhishahas, the Surasenas, the Sivis, the Vasatis, theSalwas, the Sayas, the Trigartas, the Amvashthas, and theKaikeyas.–these and many other illustrious warriors,–afflictedwith arrows and pained by their wounds, abandoned Bhishma in that battlewhile he was fighting with the diadem-decked (Arjuna). Then a great manywarriors, surrounding that single warrior on all sides, defeated theKurus (that protected him) and covered him with shower of arrows. Throwdown, Seize, Fight, Cut into pieces,–this was the furious uproar, Oking, heard in the vicinity of Bhishma’s car. Having slain in thatbattle, O monarch, (his foes) by hundreds and thousands, there was not inBhishma’s body space of even two fingers’ breadth that was not piercedwith arrows. Thus was thy sire mangled with arrows of keen points byPhalguni in that battle. And then he fell down from his car with his headto the east, a little before sunset, in the very sight of thy sons. Andwhile Bhishma fell, loud cries of alas and oh, O Bharata, were heard inthe welkin uttered by the celestials and the kings of the earth. Andbeholding the high-souled grandsire falling down (from his car), thehearts of all of us fell with him. That foremost of all bowmen, thatmighty-armed hero, fell down, like an uprooted standard of Indra, makingthe earth tremble the while. Pierced all over with arrows, his bodytouched not the ground. At that moment, O bull of Bharata’s race, adivine nature took possession of that great bowman lying on a bed ofarrows. The clouds poured a (cool) shower (over him) and the Earthtrembled. While falling he had marked that the Sun was then in thesouthern solstice. That hero, therefore, permitted not his senses todepart, thinking of that (inauspicious) season (of death). And all aroundin the welkin he heard celestial voices saying, ‘Why, Oh why, shouldGanga’s son, that foremost of all warriors of weapons, yield up his lifeduring the southern declension?’ Hearing these words, the son of Gangaanswered, ‘I am alive!’ Although fallen upon the earth, the Kurugrandsire Bhishma, expectant of the northern declension, suffered not hislife to depart. Ascertaining that to be his resolve, Ganga, the daughterof Himavat, sent unto him the great Rishis in swanlike form. Then thoseRishis in the forms of swans inhabiting the Manasa lake, quickly rose up,and came together, for obtaining a sight of the Kuru grandsire Bhishma,to that spot where that foremost of men was lying on his bed of arrows.Then those Rishis in swanlike forms, coming to Bhishma, beheld thatperpetuator of Kuru’s race lying on his bed of arrows. Beholding thathigh-souled son of Ganga, that chief of the Bharatas, they walked roundhim, and the Sun being then in the southern solstice, they said,addressing one another, these words, ‘Being a high-souled person, whyshould Bhishma pass out (of the world) during the southern declension?’Having said these words, those swans went away, proceeding towards thesouthern direction. Endued with great intelligence, Bhishma, O Bharata.beholding them, reflected for a moment. And the son of Santanu then saidunto them. ‘I will never pass out (of the world) as long as the Sun is inthe southern solstice. Even this is my resolve. I will proceed to my ownancient abode when the Sun reacheth the northern solstice. Ye swans, Itell you this truly. Expectant of the northern declension I will hold mylife. Since I have the fullest control over the yielding up of my life, Iwill, therefore, hold life, expectant of death during the northerndeclension. The boon that was granted to me by my illustrious sire, tothe effect that my death would depend on my own wish O, let that boonbecome true. I will hold my life, since I have control in the matter oflaying it down.’ Having said these words to those swans, he continued tolie down on his bed of arrows.